Become a god in your own right. New games are always just that – new. They may have some wrinkles here and there, but as long as the gameplay and game design are unique enough and interesting enough, they make for a great gaming experience. 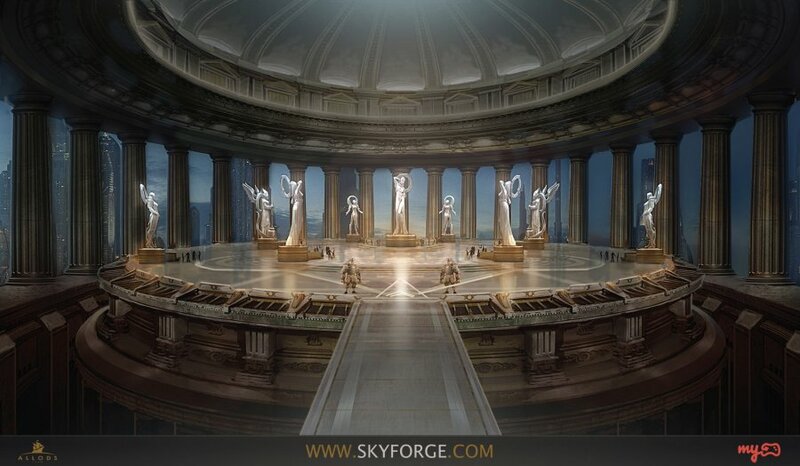 Skyforge is one of those games: its development began in 2010, and it was released in closed beta March 11 of this year. Open beta began in mid-July, which means it’s available for players like you and me to download. Is it worth the 20 GB of disk space, though? My answer is yes – here are just a few of the reasons why. The interest level of game plotlines is relative: Skyforge’s storyline doesn’t really stack up against games that focus heavily on plot (certain RPGs come to mind), but compared to the narratives of most other MMORPGs, Skyforge does quite a decent job. Basically, you live in a world called Aelion, where gods derive their powers from their followers. The greater god Aeli, however, has up and disappeared, leaving the planet open to attacks from hostile gods. You play the part of an Immortal soldier, going on “Combat Missions” to try and, well, combat the evil forces plaguing your world. The rest of the story mechanics are pretty straightforward – as you progress, bits and pieces of the plot will be revealed to you. 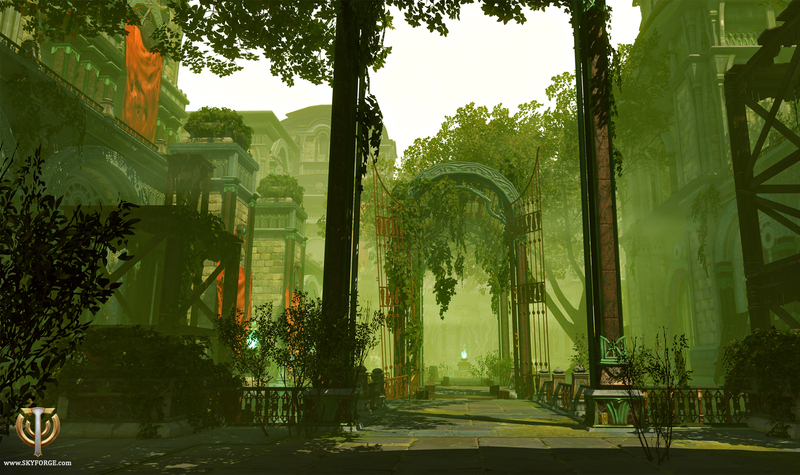 What makes Skyforge particularly unique, though, is the way that the story is integrated into the MMORPG-style gameplay. This might possibly be my favorite part of Skyforge. Remember how back in the day some of us would make multiple accounts for MMORPGs only because once you started one, you weren’t allowed to go back and change classes? And how we were completely screwed if we suddenly decided that we didn’t want to be a paladin anymore? 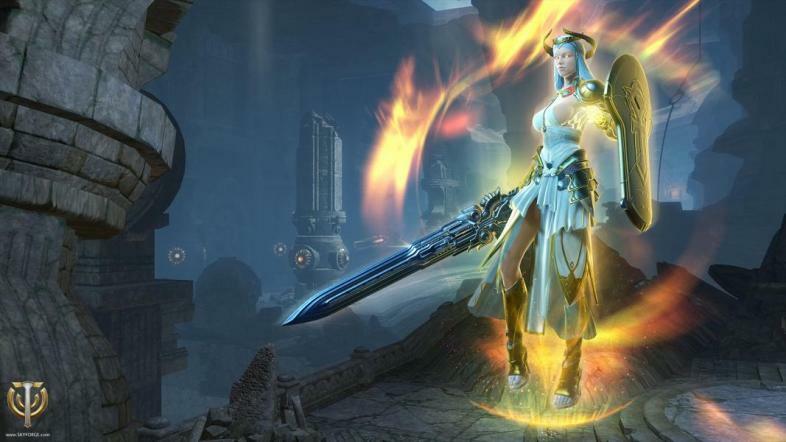 Here's the trailer for one of the classes in Skyforge: Kinetic. Well, the good news is that in Skyforge, you can – drumroll, please – change between any of the classes that you unlock throughout the game (provided that you aren’t in combat while you try to change classes). Right now a total of 13 classes have been released, and more classes will gradually become available. At the beginning of the game you have the Lightbinder, Paladin, and Cryomancer classes to choose between, and you can unlock the other ones by completing in-game activities. This game has you using two sets of skill systems for your core progress: the Ascension Atlas is the matrix you use to switch between classes. The whole thing is a little complicated, but it’s definitely a nice change from the way other games have you progress your character (think Final Fantasy X’s Sphere Grid). This is the trailer for the Lightbinder class, which is one of the three classes you can start your journey with. This ability to switch between classes also adds a new element of strategy to Skyforge, which I really enjoy – each class fills a different combat role, so you have to switch between classes in order to complete quests more efficiently. Classes are also one of three types: Support, Attack, and Defense, and those varieties also force you to think more about how you want to approach different bosses and quests. …So naturally, you’ve got to have some followers, right? Your character in Skyforge has a unique stat called “Order,” which is basically how much of a god you appear to be among the mortals. The higher your order, the more bonuses you get. As you proceed in the game, you unlock certain provinces on which you can build temples and chapels. These two types of items give bonuses to your character’s overall stats (things like Accuracy or Endurance, for example) as well as further increase the greatness of your order. Order in your order… how fitting. This aspect of the game is a little farm-heavy, I’ll admit (you leave your “adepts,” which are your followers, for hours at a time while they complete certain missions for you to reap the rewards), but it’s an incredibly interesting system to explore. 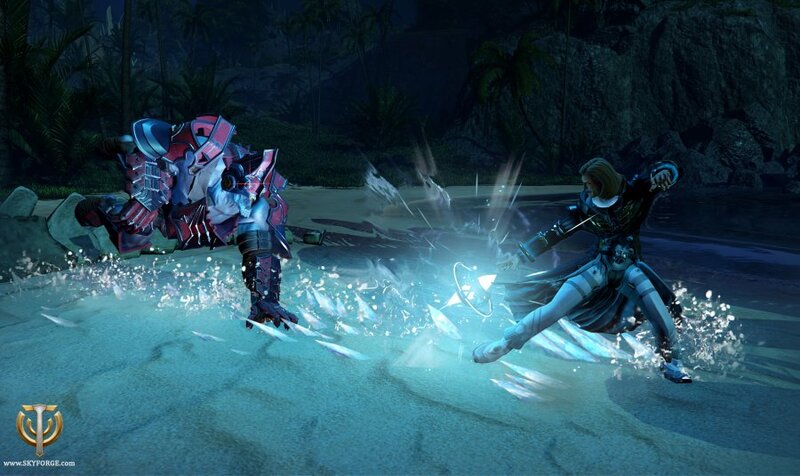 Skyforge gives you the option of buying argents, which is one of the many types of currency in the game. These purchases can help upgrade your gear ranks and they can also be used to buy credits, which are yet another form of currency. Credits can help you improve your Order, and they can definitely give pay-to-win players a bit of an advantage. 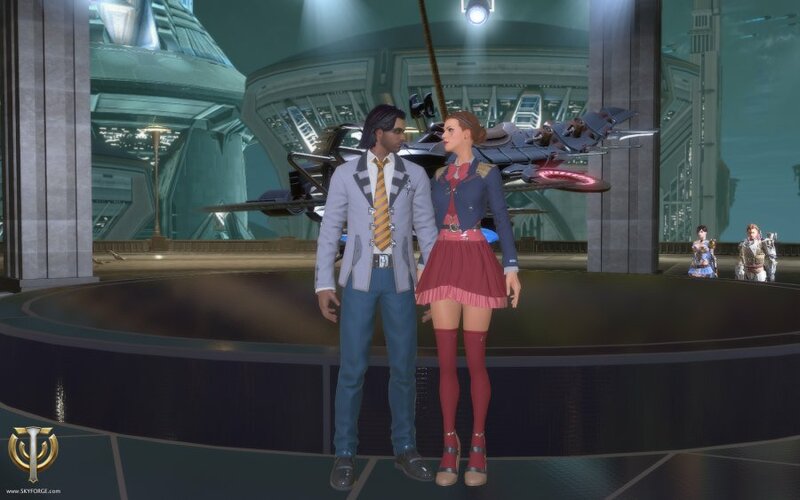 You can buy cute outfits in-game with real-life money!... or you can play your way there, too. It’s up to you. But the good news is that you’re not that far behind if you’re a free player! The game is completely free to download and free to play, and you don’t have to pay any money for continued membership. Every single player can accomplish the same exact goals, but if you pay you simply get to the finish line a little faster. With both PvP and PvE options, Skyforge gives you plenty of options regardless of whether you like playing with people or by yourself. You can choose to take on bosses by yourself… But since this is an open world, if you happen to get stuck somewhere, chances are that there will be other immortals running around who can give you a hand. Join other players to defeat the bosses! Or if you’re feeling particularly competitive, you can join PvP matches as part of a Pantheon, which is the guild system in Skyforge. What else can I say? Death is nothing for an immortal, which is to say that in Skyforge, if you die there is no death penalty. You have unlimited respawns, and the only unfortunate thing that happens is that after you revive, you have to trek back to the place where you died. Not the worst tradeoff, if you ask me. With environments like this, even dying isn't too bad. Even if you choose to not play this game, check out some of these screenshots. The graphics in Skyforge are both beautiful and fluid, and the textures and shadows and lighting are so well-designed that sometimes you may find yourself wondering if maybe Aelion isn’t a fake planet after all. Fair warning: some players really hate this part of the game, but I honestly really appreciate it. The game has a variety of experience caps that try to stop players from grinding too much in a week – but for someone like me who doesn’t have a huge amount of time each week to play video games, this limit really helps to level the playing field. Players can only get a certain amount of Credits, Sparks of Insight, Class Sparks, and Particles of Mastery (all of which either give bonuses to your character or help the progression of your skills) every week, and once they hit this cap they can’t earn any more of these things until the next server reset. However, there are plenty of other things that you can do if and when you hit that cap – you can build your order, for example, which is honestly something that’s incredibly underrated in this game (because building up your order can give you some very important bonuses), or you can complete story missions. You can even farm for supplies or ammo or holy texts. Sure, maybe you can’t make any “real” progress in the game, there’s still plenty for you to do. 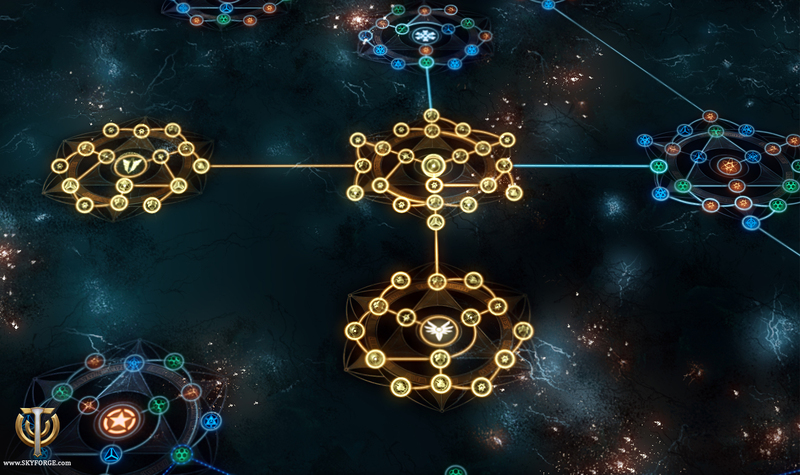 Yes, Skyforge’s unique interface is both very different and very hard to use at first, but all these mechanics contribute to a new and interesting kind of gaming experience. Difficult boss battles mean the focus is more and more crucial. In particular, the game has a mouse-locking system (when you’re not in the secondary UI), which is confusing for plenty of new players. But I assure you that after a while this system becomes intuitive, and without having to focus on constant mouse-clicking you can focus on other things – strategizing to defeat a boss, for example, or ogling the amazing graphics in the game. 10. No spam! No spam! No spam! There’s no trading system in the game! Which I’m sure some people hate, but, well, it’s nice being able to play a game without being constantly harassed by spam players. Need I say more? If you’ve never tried Skyforge before, please give it a shot! Don’t let the learning curve intimidate you, because this game has so many intricacies and interesting details that are definitely worth the time it takes you to discover those things. 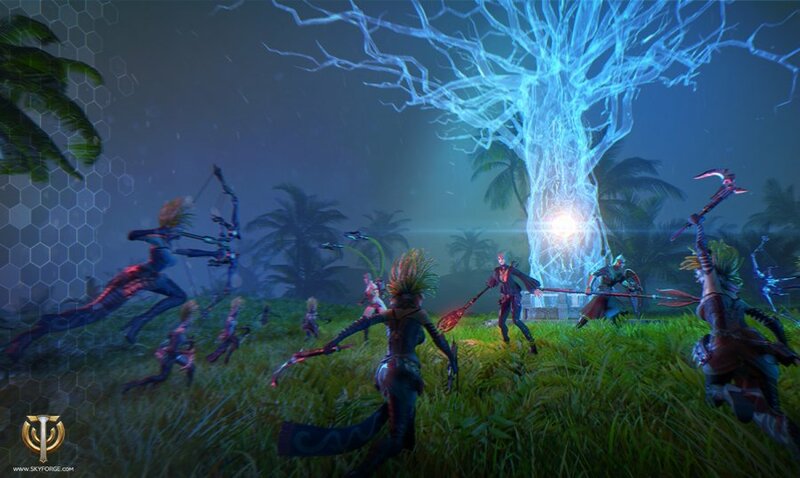 Come join a community of players who appreciate the beauty and design of this game – though there may be bugs and some strangely-designed game mechanics, Skyforge is worth it. Very much worth it. 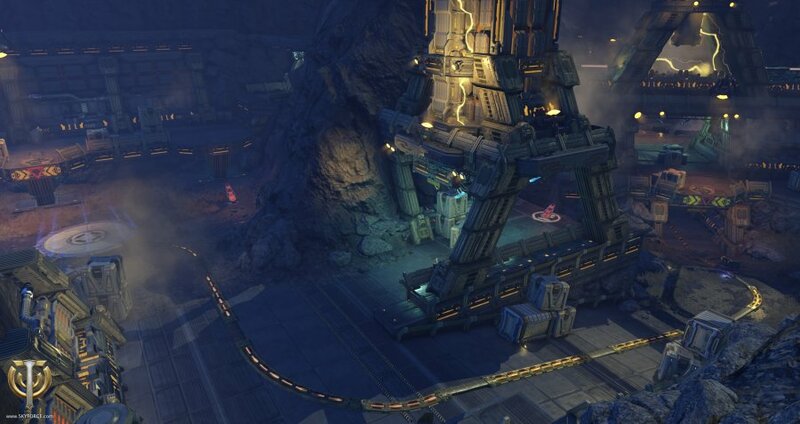 Although I suppose in the meantime, you can check out some other MMORPGs…. Try not to drool too much at this luscious art.